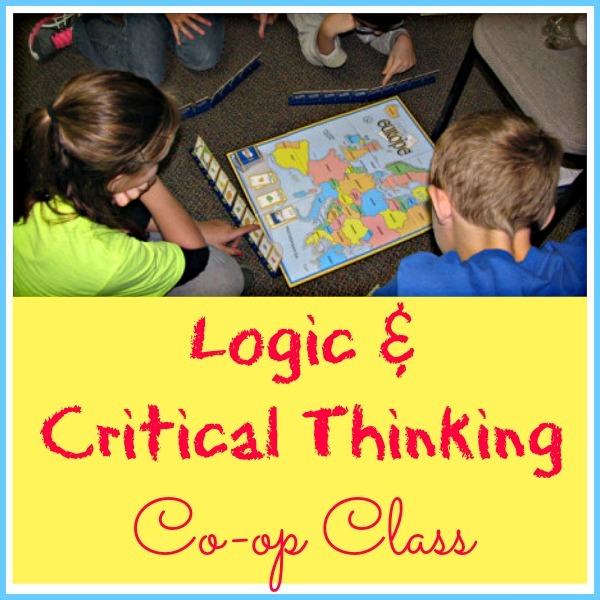 At co-op this year, I have the privilege of teaching two logic and critical thinking classes – one for high school and one for middle school. We’re having a great time together! I promised a little look inside that class, so here goes. This stuff is for Christians? Both classes began with a Biblical understanding about why it’s so important for Christians to learn to think critically and how the Bible proves that fact to us. We discussed and memorized Bible verses based on this important article by Nathaniel Bluedorn. Each week finds us doing something different and exciting. I’m using activities and ideas from various resource books, most of which are below. You’ll notice some of the books are meant for upper elementary students. I’ve found these are a good place to start with my middle school class which consists of 5th-8th graders, most having never enjoyed logic & critical thinking before. I’ve used this mini-unit from ABC Teach (with some additions) in my high school class, too. At least once a month, I simply bring games that reinforce logic & critical thinking. The kids love learning new games and you can’t beat the super-fun method for learning! Once I take more pictures, I’ll share another look-see into the class! You might also be interested in reading my reviews of logic materials posted over at The Curriculum Choice. 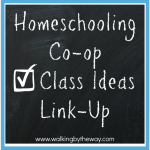 Don’t forget, you can learn more about HOW to add living math (including logic) to your homeschool in Loving Living Math! Hi there… looking forward to following your blog. Just found it through a link to Loving Living Math. Yes, thank you! Things change around so often on the internet, it’s hard to keep up. 🙂 I’ve corrected the link and appreciate you letting me know!